Steve Davis is a Triathlon Coach with athletes in Ireland, the UK and Australia. With over 10 years racing and coaching experience, his nutrition, psychology and sports consultancy background allow him to design training programs and lifestyle strategies that enable athletes of all levels to realise their potential and to reach beyond their sporting and fitness goals, always improving and injury free. Here are his Top 10 ways to excel as an athlete. So many people get the bug and decide they want to get fitter. They dust off their runners, hit the road or the gym, and then 20 minutes later they are back on the couch in disbelief at how unfit they are, with the runners again relegated to collecting dust under the couch. WANT – you have to Want to start. You need motivation, and you have to find that within yourself. CAN – you have to realise that you Can do it. You’re not too old, unfit, fat, tired or busy. If you Want it bad enough, then you Can do it. PLAN – by now you Want to do it and you know you Can do it, so it’s time to Plan how to do it. Plan what you are going to do and when and where you are going to do it. Plan your training around your current level of fitness and your lifestyle and let yourself build slowly over time. DO – and now there will be no surprises, no excuses, no doubts. All you have to do it get out there and Do it. My Mum once told me 21 times makes a habit. I don’t know where she got the idea, I’m not even sure if the theory is based on scientific data, or just some myth that has been passed down through the generations, but the fact is, it works. If you want to get up earlier in the morning so that you have time to fit in a quick session before work, set your alarm, put it across the room so you have to get up out of bed to turn it off, then force yourself to get out and go. I guarantee that after repeating this 21 times, you will be waking up before your alarm and out the door before you even realise what has just happened. This is true for anything you do. Diet, exercise, TV, sleep. If you do anything 21 times in a row, you will find yourself automatically doing the task without even having to think about it. Whether you are a beginner runner, just trying to lose weight, or a high level athlete; you have to have a reason to get out of bed in the morning, and it is your “goal” that becomes the reason. So many people never achieve their targets because they either set unrealistic goals or they set goals that are achievable so far into the future that it’s not a motivation to get you up and going because there is always tomorrow. The all-too-often-overlooked goal setting rule is to set many goals. You have your main goal, the ultimate prize that you want to achieve in the future. Then you have to sit down with a Personal Trainer, Coach or even a friend to set mini goals that you can realistically achieve over a short period of time such as “I will get up and train every day this week” or if you want to run 5km, but you can only manage 3km before you have to stop and walk, then set goals like “this week I am going to run 3.1km, next week 3.2km etc”. Easy, obtainable, measureable. I trained for some time at the beginning of my Triathlon career with Luke Versace, an athlete who came back from being stabbed through the leg by the horn of a bull to finish on the podium at the richest foot race in Australia, the Stawell Gift. I will never forget one hill sprint repeats session, the weather was horrific, pouring down rain and freezing cold. After the 5th of 10 repeats as the weather just got colder, wetter and windier, he turned to me and said “its sessions like this that makes you win”. I thought about this for one more freezing, muddy, exhausting repeat, but didn’t quite understand, so I had to ask him what he meant. He hunched his shoulders against the blowing gale as we jogged back to the start line and replied “I’m going to beat them because most of the people I have to run against are sitting at home on the couch complaining about this weather, while I’m out here training in it, getting faster”. You can’t argue with logic! Recovery from the last session is your most important training goal. If you don’t allow your body to recover from the last session, then you are going to take fatigue into your next training session. All this does is makes you even more tired and increases your susceptibility to soft tissue injuries. Recovery includes warming down, rest, stretching, massage, sleep and most importantly, point number 7… Nutrition. It is absolutely imperative that you are getting the correct nutrition preferably within 30min and defiantly no greater than 2hrs after of the end of your training session for any exercise that lasts longer than 1hr. It is within this 2hr window that your nutrition pathways are open for serious business, repairing muscle and replenishing energy. If you can get your nutrition in within 2hrs post training, then you are well on your way to full recovery, less likely to snack on junk food, and your muscles will ache much less the next morning. Making yourself accountable for your training is a great insurance policy against your inner lazy demons. or just tell your partner you’ll get the milk in the morning on your way home from your session. You can be as creative and fun as you like with the ways you can make yourself accountable, but whichever way you chose, it will give you that little extra reason to get out and do it, or suffer the wrath of those who know you have chosen to sneak back to bed. Measuring your progress is an important part of a training program. It not only shows how well you are improving, or need to improve, but it also allows you to change your goals, and training sessions according to the results that you are getting. Just plodding along doing the same thing every day will get you so far, but you will eventually plateau. To keep on improving, you need to know what you are doing right, and what requires more work. The only way to do this is to have some key measures such as a Time Trial – racing a certain distance against the clock, or racing for a set time and seeing how far you can get. If you are training consistently and following a quality program, you should see yourself improving every time you do this. If not, then it’s time to sit down and reassess why your program isn’t delivering the results. The only way you can improve is if you train, but you can’t train if you are injured. So many people go out and attempt a training regime without the ‘Want, Can, Plan, Do’ process, so they jump into training head first without knowing their limitations and they get injured, become discouraged and lose interest. Any time you want to increase the amount of training you are doing, you should aim to increase it by only 10% at a time. i.e. if you ran 10km last session then run (10km + 10% = 11km) this session. If you cycled for 2hrs last session, then you cycle for (2hrs + 10% = 2:12hrs) this session. If you apply the 10% rule to any increase in your training, you will avoid injury, enjoy the challenge, and add in a mini goal to your session. Many of us believe that we are congenitally born to run. Some of us run religiously and equate the “runner’s high” with an “out of body” experience. Some of us are “Weekend Warriors” and pack as much exercise into one weekend as humanly possible, in order to meet the week’s quota. As with any style of sport, running comes with it own set of “rules”. Did you know there is a technique to running? Many years ago, neither did I!! Until I had a list of injuries to prove that something wasn’t exactly going to plan. I was an athlete. I’d be running for years. I had the most expensive runners on the market. I thought running was a no brainer. Not even a sport, but something that was “in built”. Until I learnt that it was all about “technique”. Would you like to learn how to run? Run faster, more efficiently and injury free, whilst also minimising stress and strain on your body? I think we all would! 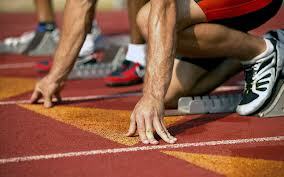 According to some, there are 3 simple steps to first perfect, in order to run better and with “Good Form”. back children family health injury muscles sport stress.